Watching a reboot of a series that originally aired in Japan in 2003 kind of makes me feel like I was cryogenically frozen at some point, only to wake up at least a decade or more down the line. 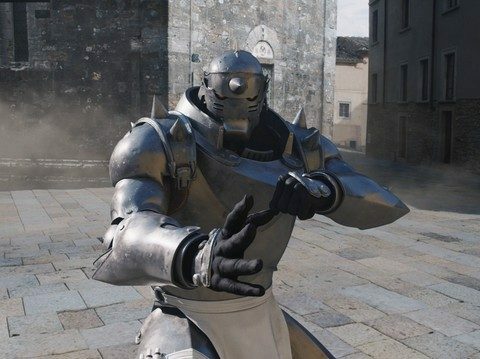 Fullmetal Alchemist may not be that old, but boy is it ever popular, and as such we’re now happily watching it all over again. 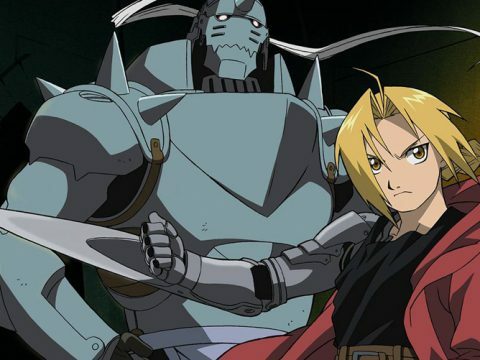 There’s no sarcasm or bite to that statement, because Fullmetal Alchemist: Brotherhood takes what we all loved about the first series, brings it closer to the original manga, and does so with marvelous flair. If you’ve never seen a minute of the show, put down that discount box set of Bones’ first crack at the tale, because this is the real deal. 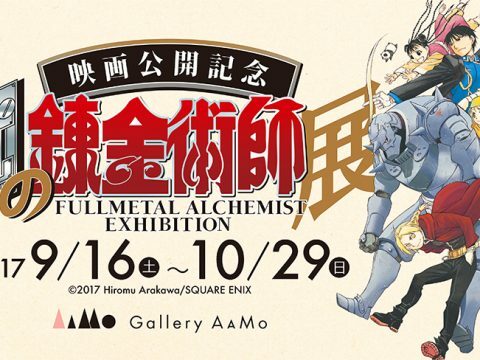 Edward and Alphonse Elric are two brothers steeped in the world of alchemy, their penchant for the arts passed down from their estranged father. When their mother suddenly dies, the young brothers’ world is torn apart, and they aim to use their alchemic knowledge to bring her back. Cue clusters of dark clouds, because human transmutation is one of the forbidden arts, and their lives are irreparably damaged as a result of crossing this line. Ed loses a leg during the ritual, but Alphonse suffers the worst fate, his entire body consumed. In a last ditch effort to save him, Ed sacrifices his right arm to bond Al’s soul to a suit of armor. It’s a brutal lesson learned, for sure. With Alphonse now a lumbering tin can, and Ed being appropriately affixed with Automail appendages, they set off to become State Alchemists so that they may close in on unlocking the secrets of righting their wrongs and getting their full bodies back. One of those secrets lies in the power and mystery of The Philosopher’s Stone, and the majority of these first thirteen episodes focus on Ed and Al’s attempt to research it. However, a mysterious group of enemies is seemingly one step ahead of their efforts. Add to this the State Alchemist-hunting menace known as Scar, and you’ve got the recipe for a good deal of tension and, naturally, alchemy-infused action. 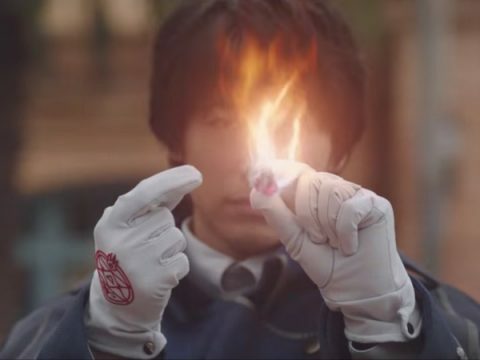 Brotherhood kicks off with an entirely original episode, which is as much a service to seasoned fans as it is an action-oriented introduction to some of the show’s main cast. Right off the bat we get to witness a full-on alchemy battle, pitting the Elric brothers against the Freezing Alchemist Isaac McDougal. Though the specifics of the action as well as the motivation of the characters will be complete mysteries to newcomers, it also acts as a fairly reliable hook to reel them in. It doesn’t hurt that the production here by Bones, the studio also responsible for the first series, is top notch stuff. Yasuhiro Irie (Alien Nine, Kurau: Phantom Memory) directs a series that, like its predecessor (directed by Seiji Mizushima), is very much a character driven story. For all the wham-bang action, of which there is just the right amount, Brotherhood always comes back to the Elrics and their connection to one another, an inspirational bond that even seems to grab the admiration of all associated with them. Speaking of their associates, the supporting cast of characters is a well-balanced lot. Within the State Alchemists, there are equal parts comic relief and straight-laced “dogs of the military.” Even those that traditionally serve (or at least attempt to serve, depending) laughs on a platter can switch into serious mode at the drop of a hat. The big, almost monstrously muscled Alex Louis Armstrong can be both tough and tender. Ed’s personal mechanic Winry Rockbell offers up some comedy alongside time-tested friendship, and perhaps a hint of something more. Not only is there a character for everyone here, but there really aren’t that many that are immediately unlikable unless that’s their purpose in the first place. While the humor is mostly effective, as Daryl said in our first magazine feature on the series, some of it does wear out its welcome early on. Most notorious are the constant short jokes aimed at Ed, and his red-faced explosive reactions. It’s novel at first, and we do get that Alphonse is the taller younger brother, but you will hear this joke and a few others like it more times than there are episodes in the set. Still, this is an almost microscopic complaint in the grand scheme of things. 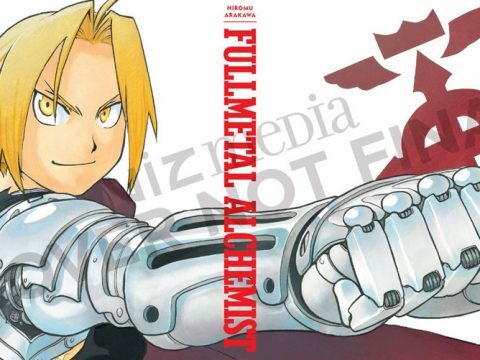 Beyond just the jokes, much of what this first set contains will be familiar to those that followed Fullmetal Alchemist, as it falls prior to the point where the original anime began to diverge from Hiromu Arakawa’s manga into its own original story. Despite having seen it before, it was a lovingly crafted and very welcome refresher course. There are still many mysteries after the first set closes (on a brutal cliffhanger no less). The antagonists of the series have only barely begun to peek their heads out and dip their claws into things, but the intrigue is there. I’m looking forward to what Brotherhood has to offer down the line, especially considering I never got very far in reading the manga to which it holds faithful. I suppose I could sit down and watch the streaming episodes available to catch myself up (I believe Funimation has about 55 episodes either streaming and/or download-to-own), but I might just wait until the second part hits Blu-ray. If you have access to a player or a PS3, I’d definitely recommend watching it in HD. Despite a lack of notable extras beyond the usual (textless opening/ending), it really highlights how fantastic the show looks. 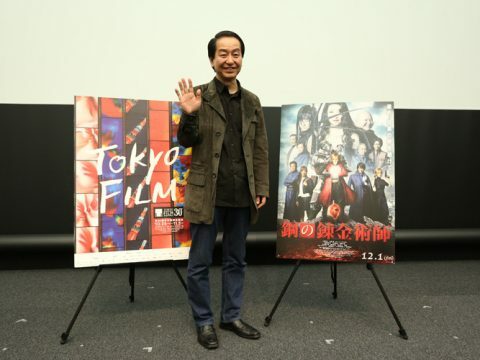 It’s nice to be excited about a new series, isn’t it?